Gold Bars vs. Coins – Learn the differences between different physical forms of gold, including pricing, storage, and availability considerations. Storing Physical Gold – Learn the most important aspects of storing and protecting your physical gold investments. Selling Physical Gold – Learn about selling gold bullion, including where and how to do it for the best return. 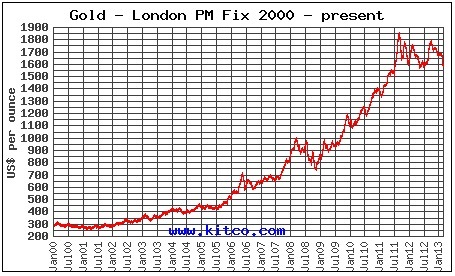 Gold Prices - Goldprice.org is the number 1 site for gold price charts in ounces, grams and kilos in every national currency in the World. Should you have any requests for further content, please contact us.